The Struggling Reader, Part 1 | Homeschool Supermom…NOT! Oh, I could list so many!…Moments of spiritual or educational awareness – when the proverbial light comes on and you hear, “Oh-h-h! I get it!” For me one of my favorites is that moment, when I’m teaching my little one to read… and he reads his very first word. His excitement, as he hops off my lap, runs to Daddy, exclaiming, “Look, Daddy! I can read!! C-a-t. Cat. See! I can read!” It’s that moment when a whole new world of possibilities opens up for that child. Oh, Mom, I love that! Love it, love it, love it! Recently I had a chance to visit some very dear friends of mine, Dr Bill and Kristen Eckenwiler. It just so happens that this husband-wife team are also both reading specialists. Dr Bill used to teach reading on a college level. In other words, it was his responsibility to equip future teachers to teach students how to read. Now, stay with me here, because if you have or know a struggling reader, I think the following information might just have you doing a happy dance! I had the privilege of sitting down with Dr Bill one day, presumably to talk business, but in actuality I was an anxious inadequate mom with two struggling readers. Dr Bill is a kindly gentle man with an infectious laugh and a goofy sense of humor that puts one immediately at ease. At first Dr Bill shared some history with me. I’m sure you’re aware that specialists have done boatloads of research on how to teach reading (phonics vs whole language), to overcome reading disabilities, and to enhance reading readiness. This research is scattered throughout institutions all over our country. You can google “how to teach reading,”and come up with thousands of opinions and ideas, and hundreds of curricula. Back in 2002 Congress commissioned a national reading panel – a blue ribbon panel whose sole purpose was to compile all the various research done, as well as conclusions reached, by reading specialists across the country into a cohesive body of research. The results were astounding. The Blue Ribbon Panel realized that reading distilled down to five essential areas – non-negotiables – in which every student had to achieve proficiency before being able to read. Okay, Mom, so here is the key. Here is where you can start doing the happy dance. Because, if you can help your student achieve proficiency in these five areas, he or she will read. Just. Like. That. 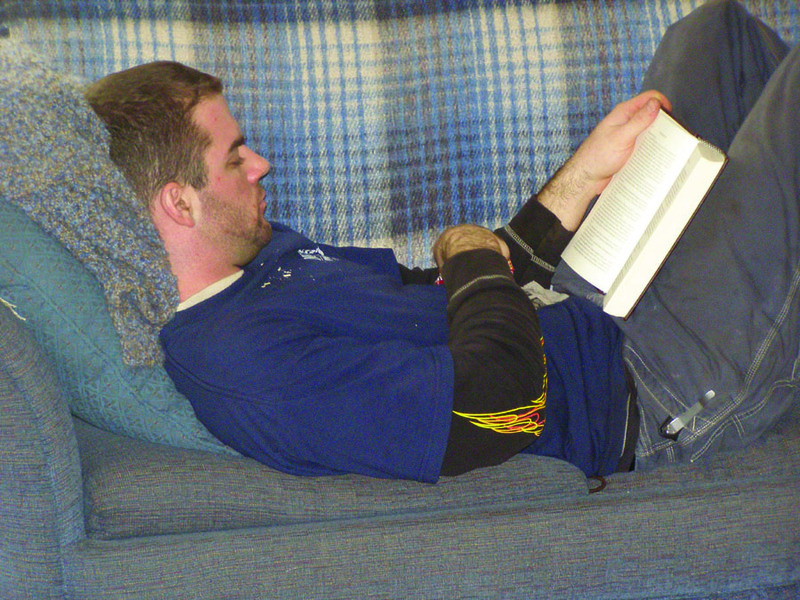 Michael was a struggling reader – but is now an avid reader. His struggles catapulted us into homeschooling 25 years ago! I could tell by the way he asked the question – smiling, eyes twinkling – that this was a trick question, but I gamely played along. He chuckled, leaned forward with excitement and intensity, and said, “Not phonics. Phonics is not at the top of the list.” He waited expectantly as his pronouncement sunk in. 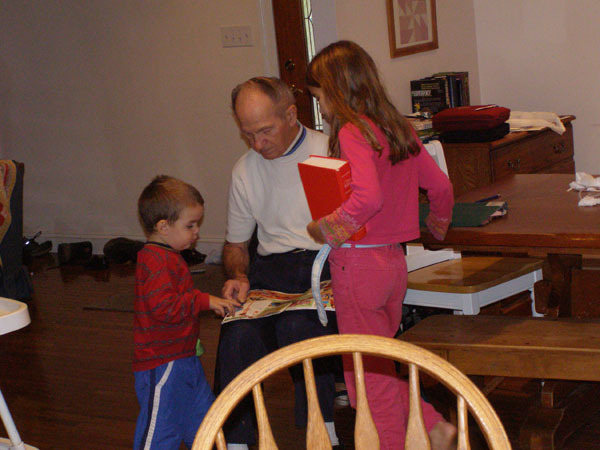 Grandparents are great at reading to their grandkids! Take advantage of this built-in blessing. It took a few seconds, but when it did, it was followed by a flood of thoughts, ideas, questions…objections. After all, I had spent years teaching my 9 kids phonics, drilling it in their heads. I had seen that research, studied it myself, knew phonics was the key. Had I been misled, doing it wrong all these years? Was that the problem? Dr Bill kindly answered all my questions…and my excitement grew. Yes, phonics is important, essential to reading. But the five non-negotiables (including phonics) precede reading, and the one at the top of the list, I’d never even heard of! I’ll be sharing more of my exciting interview with Dr Bill in my next post. But for now, I want to reassure you that if you do have a struggling reader, there are answers. You are not an inadequate mom, and your child will be fine. Truly! This entry was posted in Encouragement, How to Homeschool, Interview, Uncategorized and tagged don't give up, how to homeschool, Interview, teaching reading by Susie Kemmerer. Bookmark the permalink. 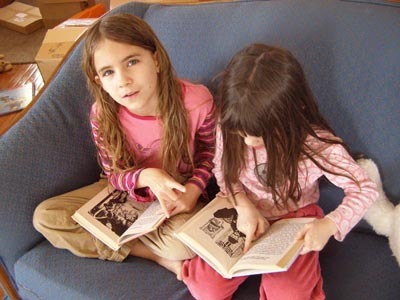 Pingback: The Struggling Reader, Part 2 | Homeschool Supermom…NOT!